Khamenei’s comments came during a speech at a high-profile military exposition in Tehran on Wednesday. "In order to secure our population, our country and our future we have to increase our offensive capabilities as well as our defensive capabilities,” he said, speaking before the country’s military brass, cited by the Islamic Republic News Agency (IRNA). Speaking of proposed military enhancements, the top Iranian cleric highlighted that state security is “not established” until hostile and oppressive powers “feel the country's power,” in an apparent reference to Western states. “Under the conditions that the world's bullying powers have spread their umbrella of power and show no mercy and openly attack wedding ceremonies and hospitals on the pretext of combating terrorism and shed the blood of hundreds of innocent people without being accountable to any organization or body, Iran's defensive capability and power must be increased so that the bullying powers would feel threatened," Khamenei stated. The announcement comes in a wake of a chain of incidents involving US and Iranian militaries. On August 24, a US Navy vessel fired three warning shots at an Iranian fast-attack boat that had traveled within 200 yards of it. A day earlier, US Central Command reported two Iranian ships had approached the American destroyer USS Nitze at a distance of 300 yards, near the Strait of Hormuz, an important oil trade route. Last Monday, Iran’s Defense Ministry reported a violation of the Islamic republic’s airspace by an American unmanned aerial vehicle. The drone left after a warning, a source in the ministry told Sputnik, but could have been downed in the event of repeated violations of Iran’s sovereign airspace. Tensions between Washington and Tehran rose significantly recently, after a thaw following the 2015 lifting of sanctions that the West had imposed on Iran. According to an unnamed US defense official, confrontations between the US and Iranian navies nearly doubled in the first six months of 2016, compared to the same period in 2015, with 19 registered occasions. 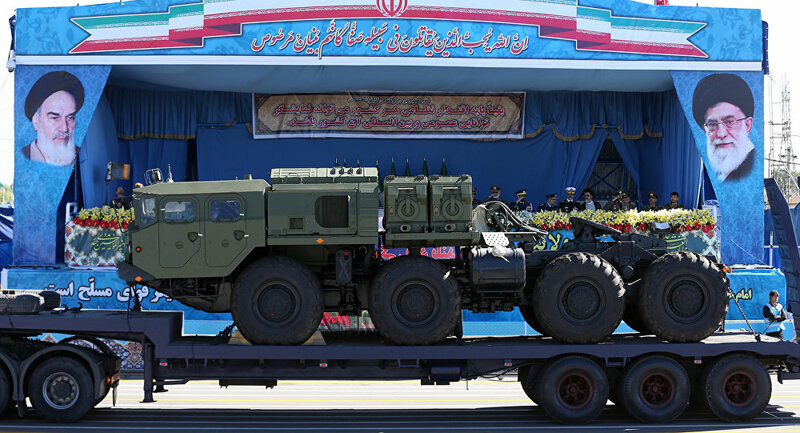 The Tehran expo at which Khamenei spoke reflects a shift in the military aspirations of Iran. According to IRNA, it aimed to highlight Iran’s defense industry and demonstrate the country’s drones, missiles, as well as its Bavar 373 missile defense system.